PERMACOMIX (Permaculture in comics) is a cross-sectoral and cross-national collaboration cultural action project which connects the skills and expertise of comics and permaculture to challenge benefits of „classical“ agriculture and gardening, building, water and energy resources usage etc. dominant in local communities all across Europe. 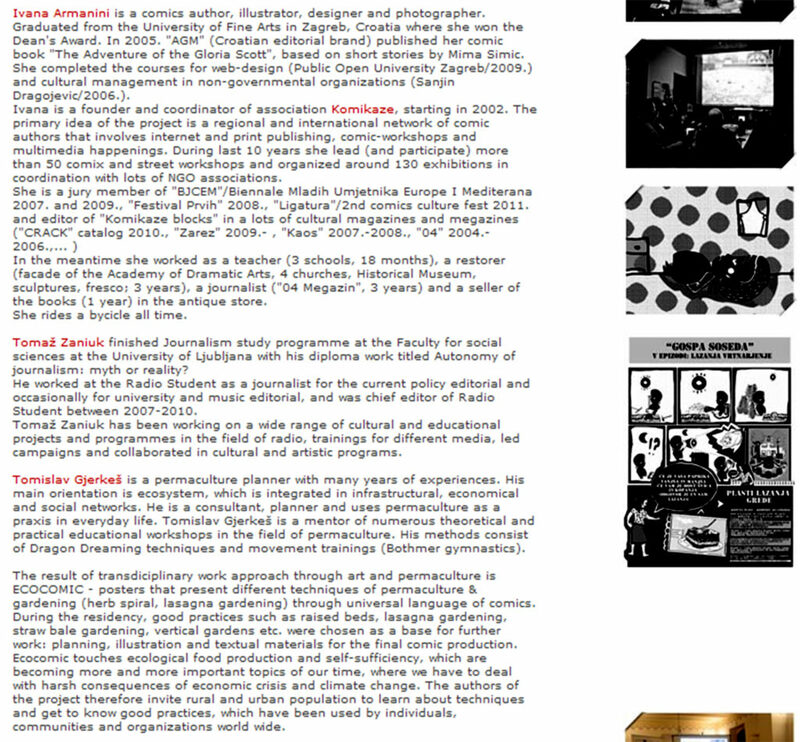 We designed permacomics posters, workshops and exhibitions/ presentations. 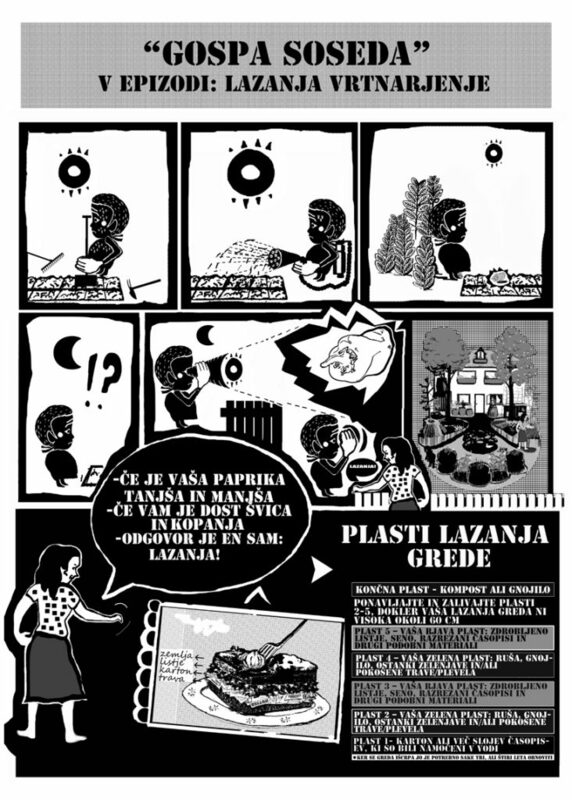 All project content and process was planned, developed and realized within the cross-sectoral network of permaculture experts, comic artist Ivana Armanini and jornalist Tomaž Zaniuk. Permaculture itself is a complex philosophy and practice of ecological design, ecological engineering and environmental design which develops sustainable architecture and self-maintained horticultural systems modeled from natural ecosystems. But can also be visualized as an individual permacultural projects (lasagna gardening, raised gardening beds, herb spiral, straw-bale construction, etc.) which should be more accepted as a sustainable practices for the future in local communities all across Europe. Some of main permaculture’s principles include energy-efficient design, the promotion of best use of space and the ecological diversity. 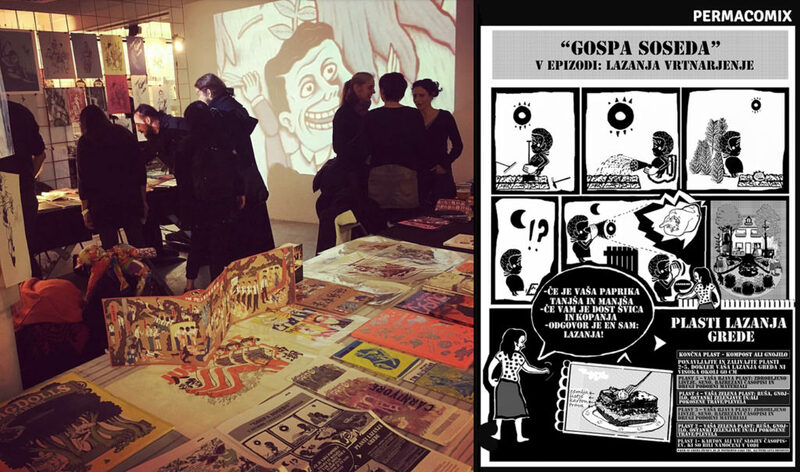 Comics and posters have been used as a artistic communicative mean to engage people in social, political, cultural or any other change before. 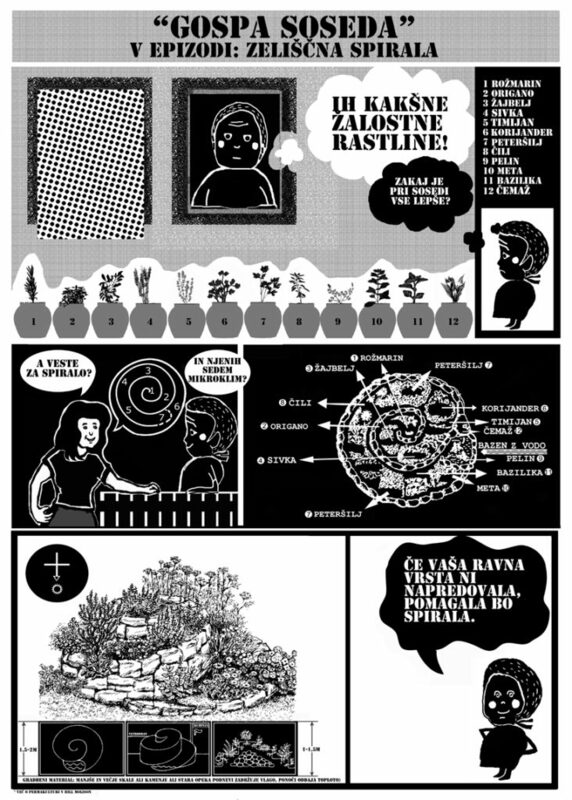 Therefore Permaculture in comics project was initiated to encourage and push DIY (do it yourself) sustainable food growing, organic building, renewable energy production etc. in a unique new art form of a series of permacomic posters, which will be distributed, presented and promoted at permacomic workshops, exhibitions/presentations and social media platform.